Cutting the cord is about to get a little easier. On Tuesday MediaMall Technologies’ announced that its PlayOn PC-to-TV and mobile streaming service will bring Aereo to a new cast of devices beginning July 10. By coupling with Aereo, PlayOn will expand service to game consoles (PlayStation 3, Xbox 360, Wii, and Wii U), Google TV, and Android devices. Aereo uses its tiny remote antennas to pluck live over-the-air signals from major television networks and route them to your browser, iPod, iPad, Roku, or (via AirPlay) Apple TV with cloud-based DVR recording capabilities. Broadcasters that include CBS, Comcast, News Corp., and Disney aren’t happy with the ballsy concept, but Aereo doesn’t seem to show signs of slowing down. Aereo’s micro-antennas pick up broadcast TV signals and stream them to desktop browsers, iOS devices, and set-top boxes. Aereo, currently available starting at $8 a month in Boston and New York, will complete its trio of starter cities by bringing service to Atlanta on July 10. The startup then plans to bring coverage to 20 more U.S. cities throughout 2013. 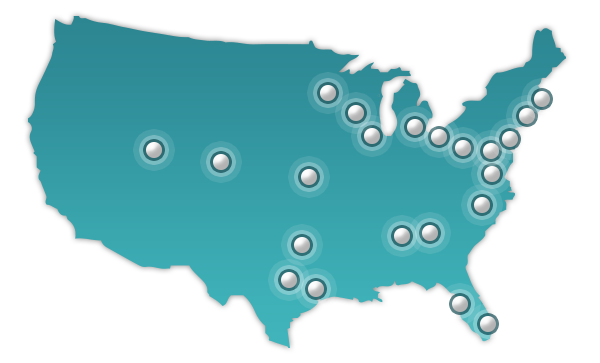 Aereo plans to expand its TV streaming to more than 20 U.S. cities in 2013. In addition to its new channel for local, live TV through Aereo, PlayOn’s service also delivers more than 60 channels including Hulu, Netflix, and HBO Go. Aereo users will need a separate subscription to PlayOn in order to enjoy streaming on the wider range of supported devices. PlayOn subscriptions currently run $25 yearly or $50 for a lifetime license.